What this Life Quote teaches us? 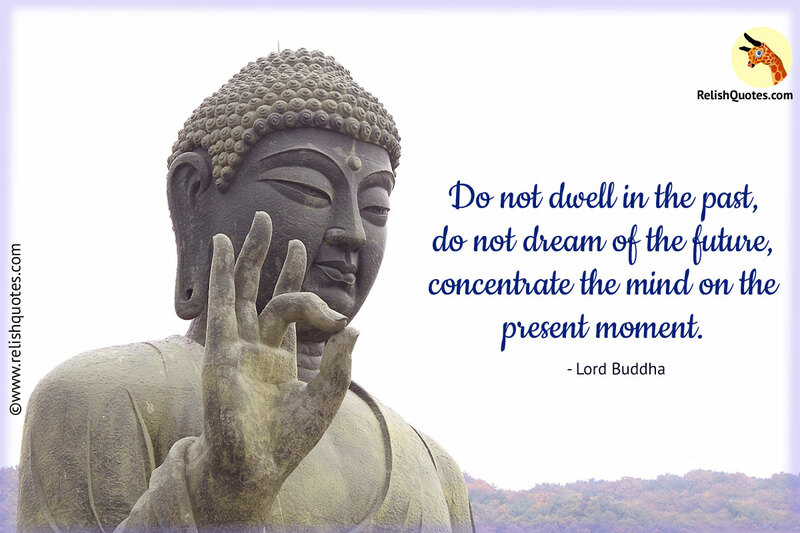 Life Quotes by Buddha have always inspired all of us to the core of our soul. In this Life Quote too, Buddha gives us a glimpse of how unnecessarily we have complicated our mind with futile thoughts. Words of enlightenment and wisdom that come from Buddha, take us on the route of thought processing and aid us in going back to the basic fundamentals of living life peacefully. The human brain is naturally designed to process and assess the thoughts and visions that reside in the mind and then subconsciously, fragment them on the basis of emotions and feelings that one experiences in the course of events of one’s life. This in turn leads to over gauging of the human psyche resulting into the initialisation of a vicious cycle of thoughts. It is this radical transformation in our thinking pattern, which leads us to an unknown zone of continuous formation of futile notions in our brain. This results in over trafficking of thoughts in the brain leading to panic attacks, anxiety and a fear of the unknown. Least do we realize how preoccupied are we mentally leading to mental exhaustion, which can sometimes be fatal too. This Life Quote will lead you to a calm mindset. The quintessential pre-requisites of a healthy and fulfilling life resides on the kind of mindset you maintain. Leave your past behind and live a guilt free life. Just like the sand, the more you clutch on to your past moments that hurt you, give you worry or guilt, will work like a silent killer and nobody would want that. Do not be anxious to know what the future has in store for you. Time that has flown by will never return and give you a chance to rectify or alter things. Stay in the moment and live it to the fullest. Be calm and carry a cool head that will help you to focus on your present. This will help you to see everything with a clear and unambiguous vision.